This month's Core Essential Value is hope. Caldwell Elementary school registration for new Pre-K & Kindergarten students continues. Call the office with any questions. Only new students to CISD need to register. Make sure you have a current utility bill with you. Without proof of residence in Caldwell, we will not complete registration. For future Pre-K students only, you must provide proof of residence AND proof of income to register. 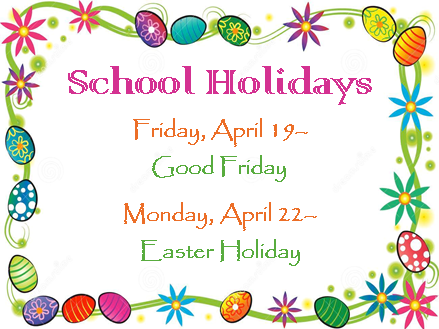 CISD will have school holidays on Friday, April 19th and Monday, April 22nd in observance of the Easter holidays. 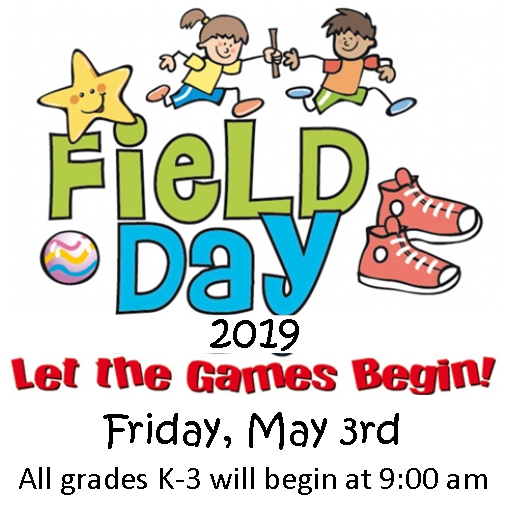 Caldwell Elementary will have its annual Field Day on Friday, May 3rd. All grades K-3 will begin at 9:00 and end by lunch. More information will be sent home with students. 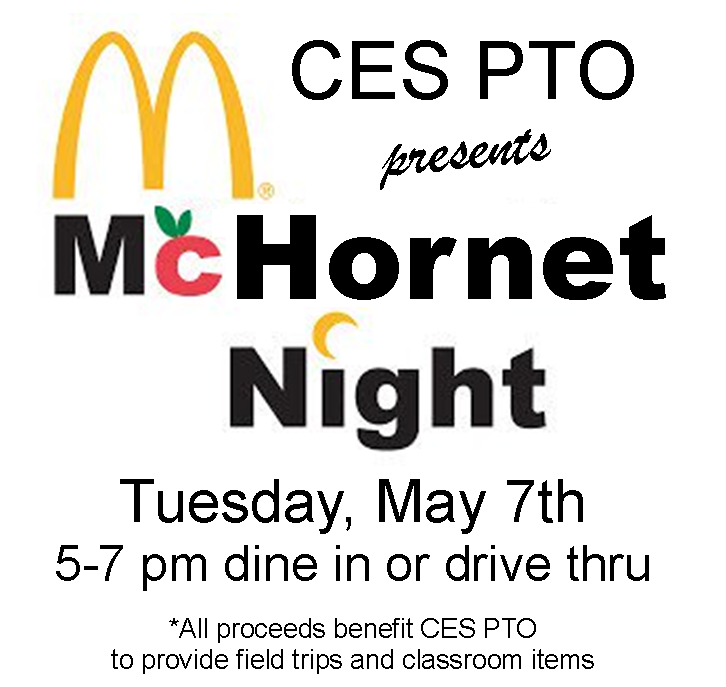 *All proceeds benefit CES PTO to provide field trips and classroom items. Families are invited to shop with their child during class shopping times (times will be sent home in student folders). Also, Family Night will be on Wednesday, May 1st from 3:30- 6:30 pm and again on Friday from 7:30 am- 12:00 pm. 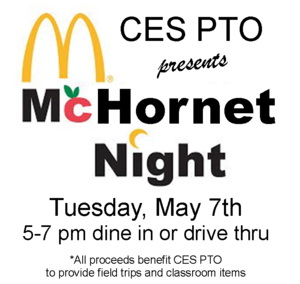 CES PTO is hosting McHornet Night at McDonald's from 5:00 pm- 7:00 pm. Come to McDonald's and dine in or drive thru. 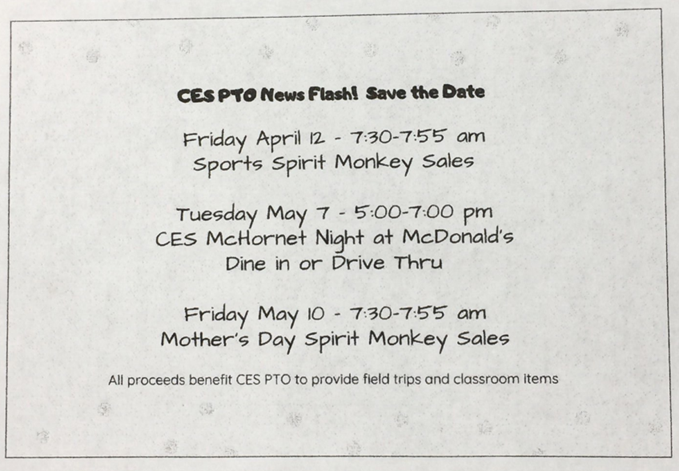 All proceeds benefit CES PTO to provide field trips and classroom items. 3rd grade students will be taking the STAAR Math test on Monday, May 13th and the STAAR Reading test on Tuesday, May 14th. We will have a closed campus during testing days & there will be no visitors allowed on campus or the cafeteria. Please do not schedule appointments during testing days. Students should be well rested and eat a good breakfast the day of their test. We appreciate your support!